Since pure love is the most powerful healing force anyone can experience, it is no wonder that you were drawn to an interest in angelic healing. Perhaps your angelic companions can indeed help you heal. But, it is important to understand that Angels can only work where they are invited and welcomed. Inviting angels and welcoming them is simple and yet not always easy. Making an invitation to your guardian and companion angels is a subjective and personal experience. For this reason it is not possible to lay out a step by step process. And still there are some principles that can help you reach the point of including Angels in your daily life. While Angels are always ready to act on your behalf, you are not always ready for them to do so. They know this and only share as much energy with you as you can handle at a given moment. It’s important to invite your Angels to work with you on a frequent basis – not for them – but for you. This expands your confidence and connection with them and allows them to shine more and more “love” upon you. One of the most helpful ways I’ve ever found to do this is to request “Most Benevolent Outcomes” for tiny details in daily life. You can read more about that by clicking the link above. You have to listen for answers and look for signs that may appear in unusual ways. Angels can use simple daily life experiences to communicate with you. Ask them to help you be alert and aware. 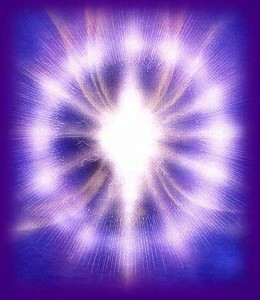 When you ask for angelic healing make yourself as open as possible to receive and then follow the guidance given. If the healing you request has to do with a body issue, your guardians may suggest for you to change your diet, visit a naturopath or take other positive and life affirming actions. If your healing has to do with the mind, you may be prompted to forgive an old wrong or give a gift that truly makes another’s life easier. As you progress in connecting with your guardians, opening, listening and acting in harmony with them, there are likely to be several visible signs. First is that old upsets and worries will be less significant for you. Second, life circumstances that are enjoyable will appear easier and more quickly. This could be as simple as always getting the best parking spot to “being in the right place at the right time” over and over again. As life gets easier, the ultimate manifestation of angelic healing is a profound and steady peace that you begin to experience. And it is this deep inner peace that allows for the removal of the number one obstacle toward experiencing wellness – the errant belief that we isolated and separate from our source. By way of conclusion I want to share a story from my life that made the presence of Angelic forces very clear to me. Several years ago, while I was completing my teacher training in Yoga, I purchased what was them my dream car – an extended cab Toyota 4 x 4 Pickup. I had asked the Angels to be with me and help me find the perfect vehicle for me. And the truck I ended up with was used but in great condition with the exception of needing some new shocks. I was so happy to finally have my desire met that I spent the first day with my new truck, cleaning and polishing every surface. The second day, I joyfully drove it for the first time – toward the repair shop for some new shocks. I saw the shop a little late, but instead of continuing on and circling back, I made an abrupt right hand turn. But before I could make it fully into the driveway, a Semi-Tractor going about 60 mph clipped the bed of my truck. That sent me and my new pickup into a roll. We made 3 complete revolutions before coming to rest, somehow with the truck on its wheels. I wasn’t entirely sure what they were talking about until the next day when I went to retrieve my personal belongings from the truck, which by this time had already been declared a total loss by the insurance company. Inspecting the truck I saw that the passengers side of the cab was crushed down to within 6 inches of the front seat, while my side, the driver’s side, was untouched. Since that time, I’ve never underestimated the power of my guardians and have come to appreciate angelic healing and protection as a necessity of being in a body. Next post: Are You Curious About Sleep Tracks by Yan Muckle?